In this article of Kicking Back we dig into one of the classic club names of U.S. soccer, the Brooklyn Wanderers. The original version of the club was formed in early fall of 1894. The club played two preliminary matches: on September 23 against the Red Stars of Harlem; and on October 7 against Centerville A.C. of Bayonne. By the beginning of October, the club had fully organized by electing officers and a board of directors and had both first and second teams. The club also had its initial grounds in South Brooklyn (now just a block of rowhouses in lower Sunset Park near the Belt Parkway) with plans to soon have enclosed grounds. At the time, that term “wanderers” was often used for itinerant people, vagrant or the homeless. In the sporting vernacular, teams that were playing on the road were sometimes informally called wanderers in the same vein as they might be called the visitors. If they had grounds, why did they call themselves the Wanderers? It is likely because in late 19th century, the Wanderers’ nickname was in fashion related to the official name for sports clubs. A seminal example is Wanderers F.C. of London who won the first F.A. Cup in 1872 and four more over the next six years. The club began playing a semi-regular schedule of games against other non-league clubs in the New York metro area with a new home grounds a couple of blocks away. During this period they played teams such as Sylvia A.C. of Jersey City Heights, the Bayonne Rangers, and Americus A.A. of West Hoboken. On December 15, the New York soccer world evolved when the most prominent association football clubs from New York and New Jersey joined to organize the National Association Foot Ball League. Over the next month and a half, the league drew up bylaws and elected officers, with the Wanderers’ manager, W. Southern, elected president. The league was in discussion with over a dozen clubs about joining. By January 30 had settled on five clubs (Americus A.A., Scottish-Americans of Newark, Centerville A.C., New Rochelle F.C. and the Wanderers) and arranged an eight-game spring schedule that ran from March 3 to May 5. Sunset Park (58th and 1st Ave) is now a mostly industrial area of Brooklyn. The Wanderers moved to their permanent home grounds of the Varuna Boat Club at 58th Street and 1st Avenue and finished third out of four teams (New Rochelle decided ultimately to not take part in the league) in that first NAFBL season. The club spent the next three seasons in the league but never managed to win the championship. The club lost its first two matches of the 1898-99 NAFBL season. On December 4, 1898, the Wanderers failed to play their third league match scheduled at home against the Arlingtons of New Jersey. The December 5th edition of the Brooklyn Daily Eagle noted that the club had abruptly disbanded and withdrawn from the league “[o]wing to dissensions in the ranks…” The league followed quickly behind, suspending operations in 1899 partially due to the post-Spanish-American War economic recession. The National Association Football League reorganized as a fully-professional league and resumed operations starting with a 1906-07 season. Until the 1912-13 season, Brooklyn was represented in the league by the Brooklyn Football Club. For that season, Brooklyn F.C. entered two teams into the league which would alternate home dates at Suburban Oval (which is now a block of rowhouses a block east from the Ditmas Avenue station). On October 6, 1912, the newly-formed Brooklyn Wanderers opened their NAFBL season with a 0-5 loss at Jersey City. The club lost again the next week 1-3 to the True Blues in Paterson, New Jersey. In the first round of the American Football Association Cup they managed to draw the Scottish-American F.C. of Newark 1-1 in their first home game, but lost the replay 1-3 at Harrison Oval the next week. Béla Guttmann (1925) was a Hungarian national team player who would go on to play for several ASL clubs including the Wanderers. For a handful of games, the new club continued to struggle on the field. In late December, the team reorganized and many players moved back to Brooklyn F.C. A final game, scheduled for December 22, may have been played by the Wanderers against Brooklyn F.C. But, following that, the club disbanded for good. A decade later, Bay Ridge F.C. of Brooklyn decided to field two teams in the fall of 1922. One team continued under the Bay Ridge F.C. name in the First Division of the amateur New York State Association Football League. The other team was a reorganized Brooklyn Wanderers F.C. created to play in the semi-professional New Jersey State Soccer League. The NJSL was newly-organized for the 1922-23 season as a replacement for the NAFBL that had shut down at the end of the 1920-21 season. The home pitch for both teams was Hawthorne Field. During that fall the Wanderers played a handful of NJSL matches and won their First Round National Challenge Cup replay match against Yonkers Thistle F.C. But, on November 5, 1922, the club lost their Second Round match 1-2 against Brooklyn F.C. The next week, the club’s fortunes changed dramatically. The Wanderers were admitted into the American Soccer League at a special meeting of the league. The ASL had played their first month with only seven teams as, until the Wanderers joined, the league had failed to replace Todd Shipyards F.C. that had disbanded in the off-season. The club’s owner-manager was Nat Agar, a long-time mainstay of the Brooklyn soccer world. Their home grounds for that first year was Hawthorne Field and they ended that first season in sixth place. But, that summer, the club did manage to bring home the Southern New York State Football Association Cup by defeating league rival and current cup-holder, New York F.C, in the final. The club moved into the brand-new Wanderers’ Stadium located at Nostrand Avenue and Sterling Street for most of the 1923-24 ASL season. But, by the end of the season they had returned to Hawthorne Field for good. The club finished the league in fifth place and would remain a mid-table fixture for the rest of their history. 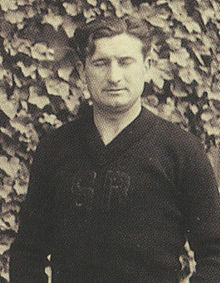 Agar reorganized and reinvested in the team during the offseason before the 1926-27 season. He brought in six internationals, including four from Vienna’s Hakoah S.C. which had a highly-successful 1926 tour of the U.S., and Mick O’Brien, English League veteran and captain of the Ireland national football team. But even with that influx of talent and a regular schedule of games at Ebbets Field to capitalize on the interest in the former Hakoah players, the club again finished mid-table at seventh out of the 12 teams. At the beginning of the 1928-29 season, the “Soccer Wars” broke out as the American Soccer League boycotted the National Challenge Cup. The U.S. Football Association suspended the organization making it an “outlaw” league and launched the Eastern Soccer League, its own major professional soccer league. The Wanderers stayed loyal to the ASL which formed a new American Soccer Association to be a direct competitor to the USFA. With the ASL schedule now split into two halves, the club managed to come in second in the first half just one point behind Fall River. In the second half, even with a dilution of talent caused by the creation of a second major pro league, the club reverted to their old form and finished fifth out of the nine teams in the league. One interesting fallout of the merger was that, there were two rival Hakoah clubs operating at the time both formed from former Hakoah S.C. players. The Eastern Soccer League’s Hakoah All-Stars were based at Starlight Park in the Bronx and the American Soccer League’s Hakoah F.C. was based in Brooklyn. This latter club’s formation was the biggest hurdle as it was created by Nat Agar as a second team under his control. While a struggling ASL in the middle of a turf war was okay with an owner controlling two teams, the more stable single ACSL wasn’t going to allow that in their league. Agar merged his two clubs and the ESL Hakoahs joined the ASL a week into the ACSL’s season. In that 1929-30 season, the Wanderers struggled in the stronger ACSL finishing ninth out of eleven teams. In addition, they only managed to fare better than the two teams who had withdrawn from the league during the season. That fall the league reorganized and renamed itself the American Soccer League. The Wanderers had yet another middling season finishing seventh out of the nine-team league. At the beginning of 1931, the effects of the Great Depression affected the club and the league as both seemed to be languishing. 1931 match report. Image from newspapers.com. The Wanderers began the year in a round-robin with other New York teams for a spot in the National Challenge Cup quarterfinals. But the club came bottom of the four teams and failed to advance. In fact, over its history, the Wanderers never had much success in the competition only making the Eastern Semifinals twice. 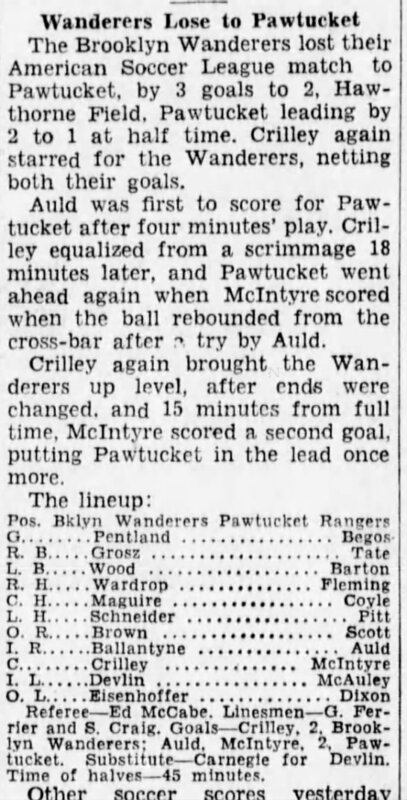 The first half of the 1931 American Soccer League season was a reversal of fortune as the Wanderers battled the New York Giants for the league lead. At the end of the half, the Wanderers finished second one game down to the Giants. But, the club lodged a protest with the ASL because the Giants had been scheduled to play one more game than the Wanderers. The league did nothing. That disrespect seemed to be the last straw for Nat Agar and he disbanded the Brooklyn Wanderers before the beginning of the fall ASL season. Agar soon became president of the league. But a tradition had been created and the Brooklyn Wanderers name didn’t disappear for long. The American Soccer League began to disintegrate in earnest at the beginning of the 1932 season. The seven-team league lost three New York teams on its opening weekend due to the financial difficulty of scheduling one New England game per road trip. The Hakoah club also wanted to withdraw but was prevented by the league. The four remaining teams played a truncated six-game round robin in the first half. Before the fall season, the ASL attempted to plug their increasingly leaky dike by adding a few new clubs. To keep a foothold in the New York area, at the beginning of September, just a few short weeks before the season opener, the league granted P.J. Flannery a franchise for the Brooklyn territory. The new club named themselves the Brooklyn Wanderers and, as tradition would have it, shared Hawthorne Field as their home grounds with Hakoah F.C. Also, as tradition would have it, the club ended the fall yet again mid-table finishing fifth out of nine teams. The first half of the 1933 American Soccer League season saw a complete separation between the New York and New England clubs. The Wanderers finished third out of four teams in a six game round robin season. Any pretense that the ASL was a major league had now disappeared. Before the second half of the 1933 ASL season, the league went through a major reorganization. Nat Agar was removed as president and the league formally split into two separate organizations: the Metropolitan and New England Divisions. While still a professional league, this restructured ASL ran on a lower level in terms of both scope and finances. Only three clubs remained in the New York-based Metropolitan Division: Brookhattan; New York Americans; and Brooklyn Wanderers. The Metropolitan Division returned to a more traditional late fall to late spring soccer schedule and, during the fall, began adding clubs to bolster their ranks ending up with a full complement of eight clubs by late December 1933. The borough of Brooklyn had two teams in the league that fall: the Wanderers and the Celtics. Brooklyn Celtic F.C. was a newly organized club that, confusingly, had the same name as an older club that was competing in the amateur Metropolitan Soccer League. The ASL Celtics’ home ground was Commercial Field (now Hamilton Metz Field in the Wingate neighborhood) while the Wanderers continued to call Hawthorne Field home. The league’s winter break started after matches scheduled for December 25. The Wanderers lost their game to the New York Americans 1-2 at Starlight Park and had compiled a record of four wins, two draws and six losses. Over the break, most ASL teams played their first round National Challenge Cup matches but the Wanderers were absent from the tournament. Josef “Pepi” Schneider scored 11 goals in 27 matches for Brooklyn in 1931. At some point before the American Soccer League resumed its schedule on January 21, 1934, the Wanderers merged with the Queens-based Hispano F.C. (once a member of the “Soccer War”-era Eastern Soccer League). The merged club was renamed Brooklyn Hispano F.C. and took on Hispano F.C.’s dismal 0-0-7 league record rather than the Wanderers’ much more middling record. 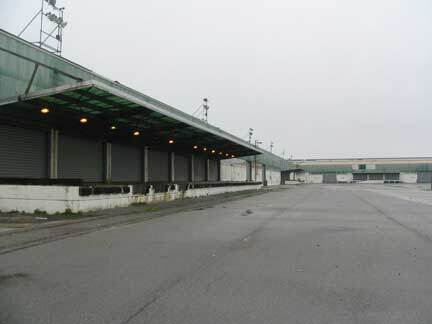 The new aggregation shared a home grounds at Commercial Field alternating dates with Brooklyn Celtic. Brooklyn Hispano played much better in the second half but, burdened with Hispano’s seven losses, ended their first ASL season next to last in the standings. The club remained a stalwart of the league through the post-war years. Hispano won a few league championships and two National Challenge Cup championships during this time, including a “double” in 1943. A bit of background is helpful to understand the history of the next version of the Brooklyn Wanderers. Brooklyn Celtic played three seasons in the American Soccer League but was expelled after the 1935-36 season for failure to pay fees assessed by the league. That August, Brooklyn’s St. Mary’s Celtic Soccer Club joined the ASL to fill the gap left by the withdrawal of Brooklyn Celtic F.C. For a couple of years, Brooklyn Celtic attempted to be reinstated to the league through legal means but ultimately failed. St. Mary’s Celtic had a fairly successful run during its time in the league. While it never won the ASL championship it did lift the National Challenge Cup in 1939. But, the club struggled financially during the 1941-42 season and the franchise was sold that summer to former referee, Bob Graham. Graham quickly named the club Brooklyn Wanderers and invested in renovating Celtic Park, St. Mary’s home grounds, which was renamed Brooklyn Oval for opening day. The Wanderers were a good team during these post-war years but never managed to take home any hardware. Near the end of the 1947-48 season, Bob Graham died suddenly. The club found itself needing to find new ownership before 1948-49 season. Two games into that season, the Graham family sold the Wanderers franchise to Brooklyn’s Hakoah A.C. A member of the amateur National Soccer League of New York, Hakoah quickly withdrew from that league, dispersed all the club’s current players to other teams, and restocked the club with their own players. The club dropped the Brooklyn Wanderers name in favor of their own Hakoah A.C. name. Hakoah lasted in the American Soccer League through the 1955-56 season but, like the Wanderers, never won anything. Before the 1956-57 season, Hakoah merged with the New York Americans. The new Hakoah of New York aggregation was a juggernaut and took the league championship in their first three years of existence. The club disbanded after the 1963-64 season. While the clubs carrying the Brooklyn Wanderers name were never highly successful on the field, the important soccer tradition that the name carries shouldn’t be denied. The Wanderers were a vital part of the early U.S. soccer landscape and should remind us that the connection between a club and the community that supports it is just as important as wins, losses and draws.